UPDATE: UK phone retailer Phones4u has agreed on a partnership with HTC that will see the Direct X white models made avaiable to its consumers. Furthermore, consumers who preorder the phone or make online or in-store purchases of the Direct X on selected tariffs above £26 will receive a pair of Beats Solo headphones worth £150 (while stocks last). 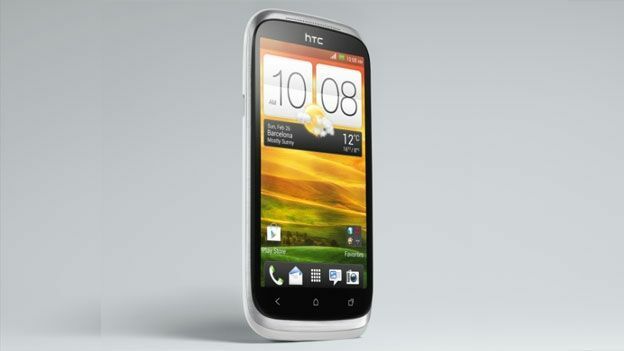 (ORIGINAL STORY) HTC's new Desire X smartphone is powered by the Androids OS, and features a a 4-inch Super LCD screen, a 5 Megapixel camera and 4GB of internal storage. It also boasts a microSD slot and a dual-core 1GHz Qualcomm1GHz Snapdragon S4 processor. HTC are also touting a range of social features that they say will enable consumers "to stay better connected". Users will be able to share photos, videos and files through touch interface and the Direct X comes with Dropbox cloud storage integreation, giving consumers 25GB free for two years. HTC hasn't released any prices for the HTC Desire X but they say the device will be available in selected markets across EMEA and Asia Pacific from September 2012. Is the Samsung Galaxy Note 3 the best phablet yet?